Goodreads is the world’s largest site for readers and book recommendations. I am one of its 65 million members and have an author profile. This enables me to list my books for the site's giveaways. 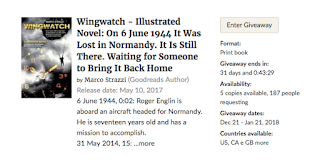 I took advantage of this opportunity and started a giveaway for Wingwatch. Five Goodreads members will be chosen at random among those having entered the competition and will have the book delivered to their home. Reserved for US, UK, Australia and Canada residents, the giveaway lasts until January 21. Are you a Goodreads member? If not, this looks like a good reason to sign in! 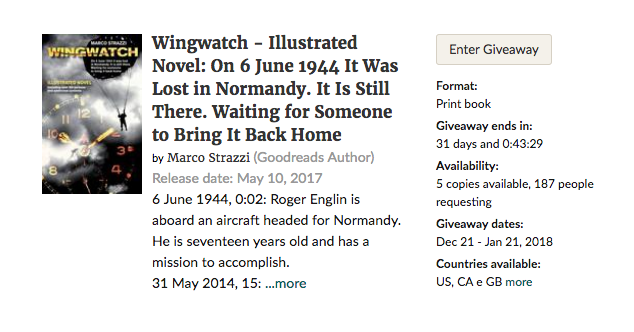 Click here to display the book giveaway for Wingwatch - Illustrated Novel ... and good luck! 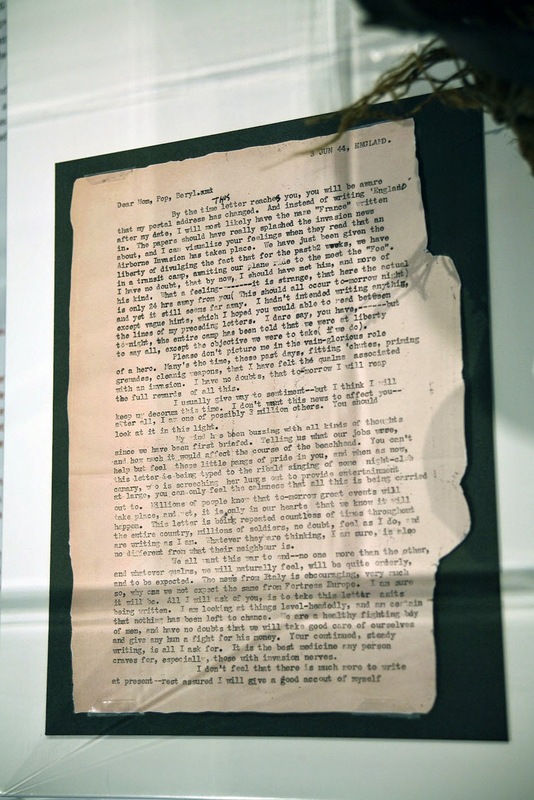 This letter was on display at the exhibition The 100 Objects of the Battle of Normandy, hosted by the Caen Memorial a few years ago. 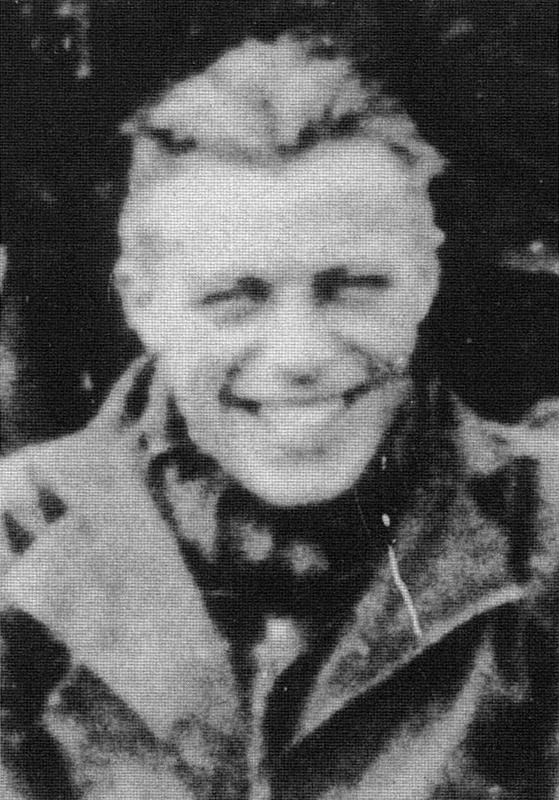 Alec Ellis Flexer, Lance Corporal of 'C' Company, the 1st Canadian Parachute Battalion, wrote it to his family on what he thought was the eve of his jump into Normandy. As a matter of fact, D-Day was postponed for 24 hours. Born from exiled Russian parents in 1922, Alec left school at 13 to work in a Montreal factory. 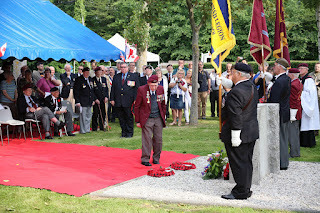 He joined the Canadian army at 19 and volunteered for the Airborne forces. After training at Fort Benning (USA), he was sent to England in June 1943. An avid music lover, he brought his violin with him. His battalion was assigned to the British 3rd Parachute Brigade (6th Airborne Division). Its task on the night of 5-6 June was to protect sappers while they destroyed bridges over the river Dives in order to delay the advance of enemy reinforcements. 'By the time this letter reaches you, you will be aware that my postal address has changed. And instead of writing 'England' after my date, I will most likely have the name 'France' written in. The papers should have really splashed the invasion news about, and I can visualize your feelings when they read that an Airborne Invasion has taken place. We have just been given the liberty of divulging the fact that for the past 2 weeks, we have in a transit camp, awaiting our plane ride to the meet the 'Foe'. I have no doubt, that by now, I should have met him, and more of his kind. What a feeling - it is strange, that here the actual is only 24 hrs away from you (This should all occur to-morrow night) and yet it still seems far away. I hadn't intended to write anything, except vague hints, which I hoped you would be able to read between the lines of my preceding letters. I dare say, you have, - but to-night the entire camp has been told that we were at liberty to say all, except the objective we were to take (if we do). 'Please don't picture me in the vain-glorious role of a hero. 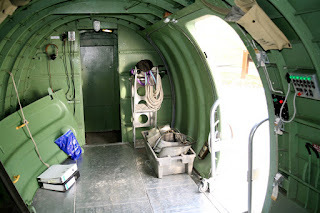 Many's the time, these past days, fitting 'chutes, priming grenades, cleaning weapons, that I have felt the qualms associated with an invasion. I have no doubts, that to-morrow I will reap the full rewards of all this. 'I usually give way to sentiment - but I think I will keep my decorum this time. I don't want these news to affect you - after all, I am one of possibly 3 million others. You should look at it in this light. 'My mind has been buzzing with all kinds of thoughts since we have been first briefed. Telling us what our jobs were, and how much it would affect the course of the beachhead. You can't help but feel these little pangs of pride in you, and when as now, this letter is being typed to the ribald singing of some night-club canary, who is screeching her lungs out to provide entertainment at large, you can only feel the calmness that all this is being carried out to. Millions of people know that to-morrow great events will take place, and yet, it is only in our hearts that we know it will happen. This letter is being repeated countless of times throughout the entire country, millions of soldiers, no doubt, feel as I do, and writing as I am. Whatever they are thinking, I am sure, is also no different from what their neighbour is. 'We all want this war to end - no one more than the other, and whatever qualms, we will naturally feel, will be quite orderly, and to be expected. The news from Italy are encouraging, very much so, why can we not expect the same from Fortress Europe. I am sure it will be. All I will ask of you, is to take this letter as it's being written. I am looking at things level-headedly, and am certain that nothing has been left to chance. We are a healthy fighting bdy of men, and have no doubt that we will take good care of ourselves and give any hun a fight for his money. Your continued, steady writing, is all I ask for. It is the best medicin any person craves for, especially, those with invasion nerves. 'I don't feel that there is much more to write at present - rest assured I will give a good account of myself. 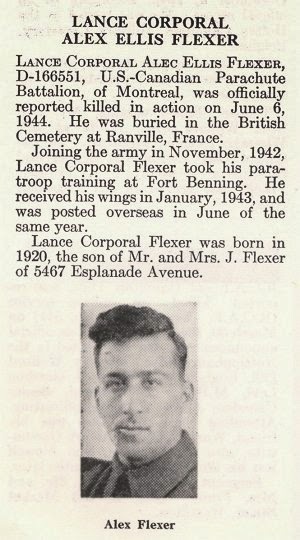 As the paper cutting above shows, Alec Ellis Flexer was killed in action a few hours after the jump. His violin was sent back home to his family in Montréal. 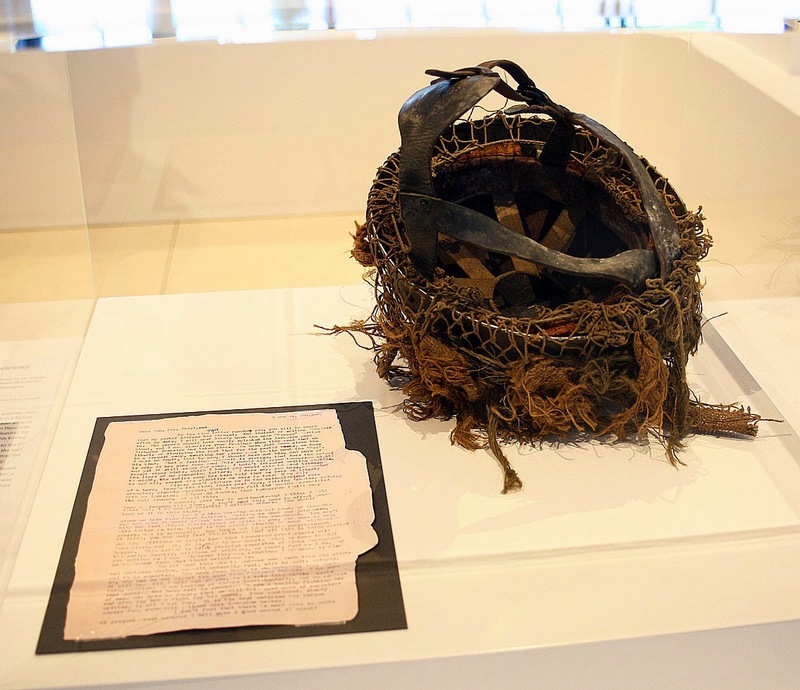 The helmet on display beside his letter (below) belonged to Paul Martin, also of 'C' Company. Previously published in a text-only form, the paperback version of Wingwatch is now available in a new illustrated edition featuring over 130 pic­tures and a selection of additional contents. I hope the reader will appreciate the opportunity to visualize some of the objects, situations and places described in the text, as well as the chance to have a look at the sites where history was made and virtually meet up with three real protagonists of the events that inspired the novel. 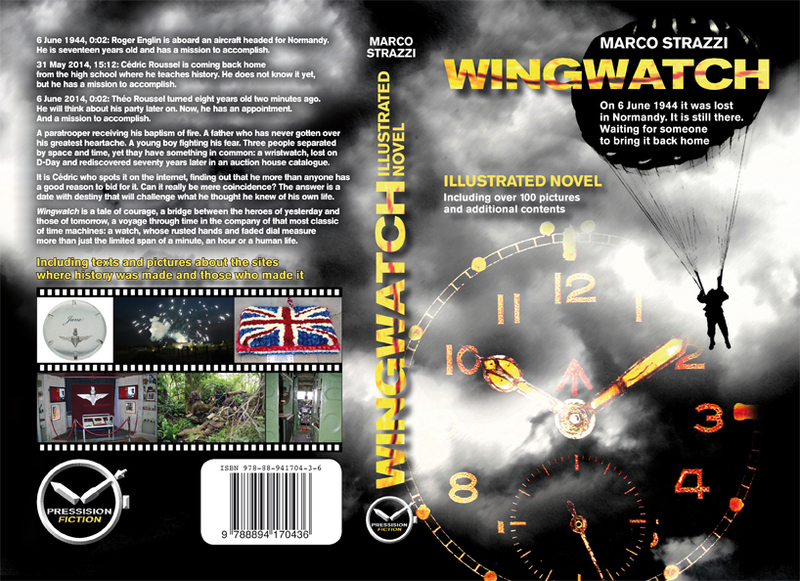 Click here to download and display the 50-page preview file of Wingwatch - Illustrated novel. 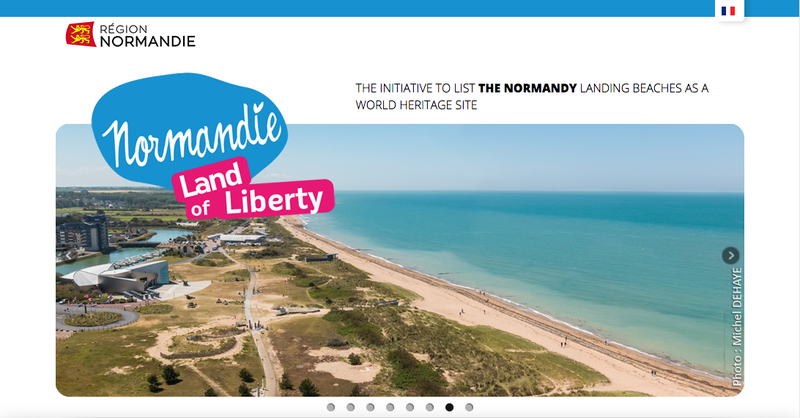 Next June, volunteer London cab drivers will be taking 250 veterans back to the Normandy beaches in 90 taxis. They belong to the London Taxi Benevolent Association for War Disabled. 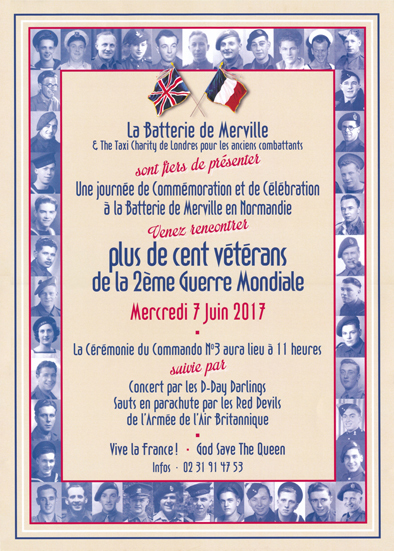 Among the sites they will be visiting from 4th-8th June is the Merville Gun Battery, where their arrival is scheduled for the 7th. 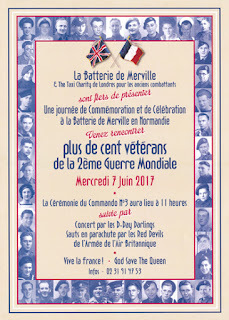 The day's program includes a jump by the Red Devils (the British Army's Parachute Regiment display team) and a concert by the D-Day Darlings. Click here for more infos (in French). WINGWATCH supports the initiative to list the Normandy landing beaches as a World Heritage Site! "… The red light to the right of the doorway lit up. 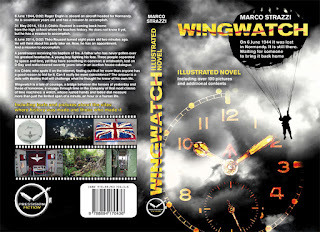 We were supposed to wait another minute for the green light, but the Dakota banked hard, throwing the captain who disappeared outside, …" (From Chapter 6 of Wingwatch). The interior of the Dakota aircraft on display at the Merville Gun Battery Museum, as it appeared to the Paratroopers who approached the doorway. 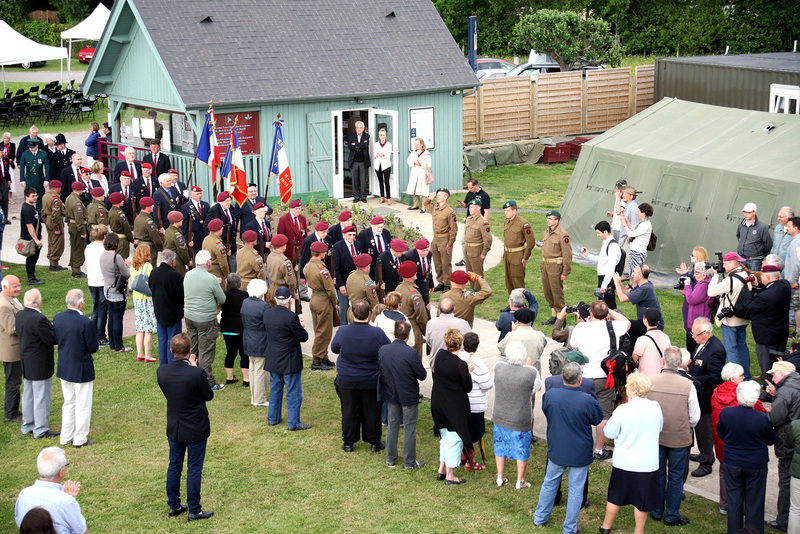 The reenactors of the France 44 Association and the crowd salute the veterans of the 9th Parachute Battalion as they enter the Merville Gun Battery site during a D-Day anniversary celebration. 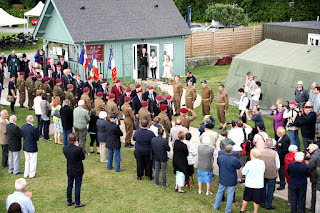 Ceremony at Le Mesnil crossroads, the theater of bitter fighting in the week after D-Day.